On Friday, Tyson, 93, was honored with a hand and footprint ceremony at the world-renowned TCL Chinese Theatre in Los Angeles. 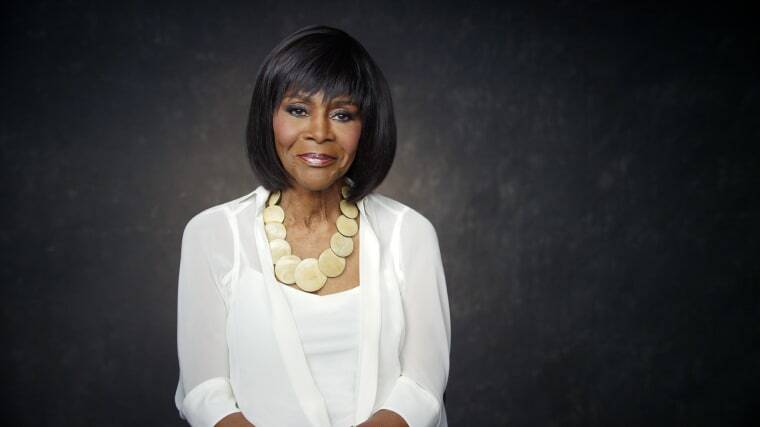 Cicely Tyson says she's been prayerful and patient throughout her career which has spanned more than six decades. NBCBLK spoke with Tyson as she was preparing to travel to L.A. about the recognition, the future of black actors and actresses in Hollywood, and advice she has for women of color in the entertainment industry. NBCBLK: Congratulations! What does this honor mean to you? How did you find out you were being honored? Tyson: I received a call from my agent saying that they had some inquiry into my availability and they were very interested in honoring me this year. And I said, ‘You’ve got to be kidding me?’ [laughter] I mean, it’s the last thing in the world that I was even thinking of. It came as truly a surprise. It took me way back in time when I first came to Los Angeles. What I do whenever I arrive in a foreign place or place I have not been to before, is that I have a tendency to explore — either get on a bicycle and ride all over or I walk all over. This particular day, I had gone downtown to look at the stars of actors and actresses on the Walk of Fame and then I ended up walking past this huge theatre. And I thought, ‘My God, I’ve never seen anything like this!’ And that’s a moment I can always recall in my memory, every moment that I spent there recognizing most of the people I had heard about in the industry and had been honored in that place. It never occurred to me that would be something that I would be asked to do. Yes it is. At first it kind of shook me because the whole idea of me putting my hand print and foot print in a substance that would memorialize me is kind of awesome you know? [laughter] It’s an extraordinary honor and something that won’t ever go away. Thinking about your career, you’ve been acting for so long and have received so many awards and this one means alot to you. I have to ask, how have you been able to maintain an acting career all these years, especially as a black woman? Well, it certainly wasn’t no crystal stairs, [laughter]. I think I have certainly been divinely guided and blessed by the heavenly father. And a mother who gave me the impetus, telling me it was something that she felt I shouldn’t be doing in light of the fact there were three of us (my brother, myself, and my sister), were reared in the church. We were not permitted to go to the movies or the theatre. I didn’t even know what a theatre was. My sister and myself were quite dedicated to the church. I sang in the choir, I played the organ, I taught Sunday school. She [mother] was not very happy and asked me to leave her home, which I did. We have been a race of people that have been suppressed out of fear and finally we have been able to get a hold on the power that this industry wields." I felt there was a reason I was called to do this. I felt that strongly about it that I could defy her and did. Of course, I’m grateful to say that she lived long enough to see that I was not going to into a house of iniquity, because that’s what she thought of the business and that I was not going to disgrace her and family. And also, I’m pleased that she was finally able to accept what I did and I heard her say, ‘I am so proud of you’ before she passed away. Because I don’t think any of it would have meant anything to me if she had not been able to be part of it all as much as she could while it was happening. Wow. And now that you have been in the industry so long, seeing the success of current actors/actresses like Viola Davis (who interviewed you last year) and Kerry Washington and movies such as “Black Panther” and “A Wrinkle in Time,” does this upward trend in Hollywood give you promise? It’s long overdue, I can tell you that. It has always been there. We have been a race of people that have been suppressed out of fear and finally we have been able to get a hold on the power that this industry wields. It’s certainly because of our sticktoitiveness. The end result of us having hung on and the light that is shining on what has always been in us, is as bright as God’s morning star. And that’s what we are and what we have always been, we have always been great. Do you think, we could have gone through from the beginning of civilization as a race of people simply because of the color of our skin? What it takes to do that? And so now it’s being shown, it’s being recognized. Long overdue. And the point is, is that we’ve always been able to, for some strange reason, think of what we possess as worthless. And what’s not taken away is given away, because we did not recognize the value, but they made us think we did not have no value in it. And in it, they would take it and make billions and we would still be there trying to survive, but we did. Recently in the industry we’ve seen this big push of women at the forefront and having power, what advice do you have for the up and coming actresses as well as current actresses out there? Just hold on. You’re in the spotlight, just hold on and keep doing what you’re doing with what you always have: you have an opportunity now to really give the generation that will follow you what God has given you. That’s what we’re here for, to do just that. Each one of us have a purpose for being here. And He expects you to use it, but if you don’t use it, you’re going to lose it. And never let anyone tell you that you can’t do something. Who are they to tell you, that you cannot do something? God gave you five senses and they are the same, no difference, so how can they tell you what to do, when to do it, how to do it, why do it? How? Who are they to demean you and tell you, you can’t? Don’t let anybody tell you that. That’s one of the things they have to consider. ‘Can’t’ should never be in your vocabulary, try. You may surprise yourself.